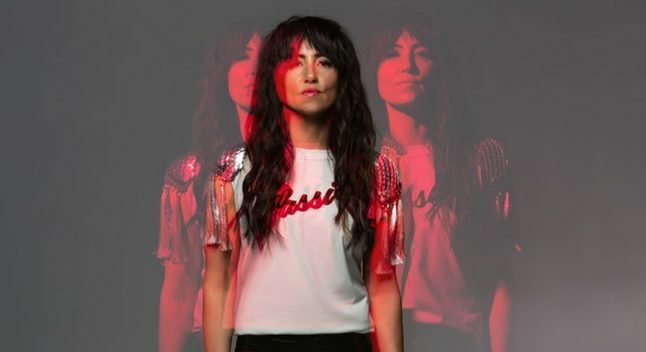 KT Tunstall will join 111 acts at the eighth Big Burns Supper festival in Dumfries this January. SHE swapped haggis for Hollywood in 2014, but Scots rockstar KT Tunstall is looking forward to being back in her homeland for Burns night this year. The artist will be headlining Dumfries’s eighth Big Burns Supper, an eleven-day long festival of 111 events taking place across bars, art galleries, museums and an 800 capacity Spiegeltent in the town the Bard famously spent his final years in the late 18th century. 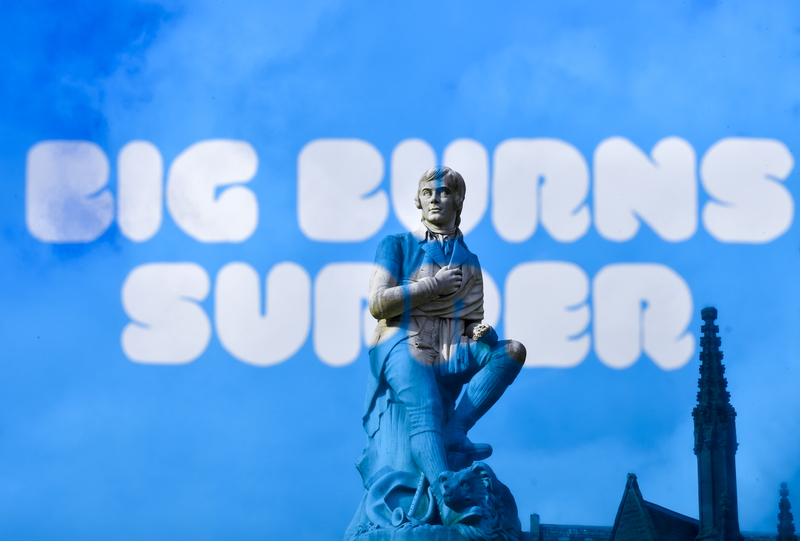 The brainchild of festival director, Graham Main, Big Burns Supper began life as a simple reaction to the lack of national entertainment celebrating Rabbie Burns night and has blossomed over the years into a dynamic and diverse stage for local, national and international performers alike. Joining Tunstall this year will be Frank Turner, Colonel Mustard & the Dijon 5, Tide Lines, Craig Charles’ Funk and Soul Club and more, with comedy from Ed Byrne, an LGBT disco performance party at Queer Haggis, amongst others. Container theatre will also cover a range of performances, with many focussing on social issues including refugee performance, The Silent House. “Last year was spent with my mate, Scottish writer Craig McLean in a very nice restaurant in Los Angeles,” she says. Swapping Scotland for LA was a move Tunstall decided to take five years ago, but she admits its hard to forget her Fife roots. “I miss the scenery – Scotland is such a show off, it even suits the rain. I loved growing up in such a rugged part of the country – I spent a lot of time as a kid down on the Castle Beach, or gadding about on our bikes, and I loved being surrounded by rocks and sea and woods,” she says. The Big Burns Supper kicks off on 23 January 2019 in Dumfries. Landscape and the environment that forms it is indeed close to Tunstall’s heart. An advocate for environmental progress, the singer recently returned from a trip to the Peruvian Amazon jungle with US organisation Reverb to help raise awareness of illegally logged wood. “We also assisted Indigenous Asheninka leader, Diana Rios, to be heard by the Peruvian government to seek justice for the murder of her father by illegal loggers,” she adds. And, she believes, the arts and her own international platform are tools she can utilise to create solutions to deeply engrained environmental problems. “I find [the state of the environment] deeply troubling. It seems to me that many of the major problems lie at the feet of big corporate business, and therefore meaningful solutions will need to come from that place,” she says. But publicity and international standing can also come at a cost. During the US presidential election campaign in 2016, both Hilary Clinton and Donald Trump used Tunstall’s songs as the backing tracks for rallies, something the star is still not at peace with. “I felt more comfortable about [Clinton] than I did [Trump], but it’s a big problem. As a writer and musician, it’s natural to feel passionately about ones beliefs and political leanings, so to have your music used very publicly by someone at great odds with your own beliefs is troubling,” she says. Her dislike for Donald Trump’s politics has even made its way into her recent music, writing Christmas song, Hey, Mr Santa! with Hollywood composer Christopher Lennertz (Bad Moms, The Smurfs Movies) as a reaction to his policies and actions. But fast forwarding three years to 2019 and her Burns gig in Dumfries, her music will be performed in an inclusive, forward-thinking and diverse festival environment, one Tunstall is excited and proud to be a part of for this reason. These words echo those of Big Burns Supper festival director, Graham Main, who heralds “togetherness” as one of the main drivers behind his event. “The Big Burns Supper provides the perfect opportunity for ideas to be brought together, for those without a voice to be given one and to showcase all the talent we have to offer, no matter what backgrounds people are coming from,” he says. “I think Robert Burns himself would be chuffed to see all we’re doing to promote the arts, especially for the younger generations in Dumfries. “He wasn’t perfect of course, but Burns was the epitome of the underdog. He started off life as a peasant farmer without much of a voice or standing, and then became one of the world’s most famous poets.